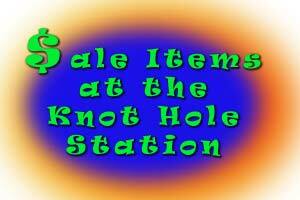 Be sure to check the COLLECTIBLES SALES at The Knot Hole Station!! Use the handy chart below to visit the collectibles lines currently on sale. The Knot Hole is your headquarters for Cairn Studios Tom Clark Gnomes and other lines of collectibles to make your house a home. Get great bargains on many items and check back often for different sales! Click Any One To Visit!